Made in the softest woven viscose, the easy A-line style drapes effortlessly over your curves. Subtly tailored with a defined empire waist, this dress is designed to flatter your figure, ensuring a flexible fit through every stage of pregnancy. 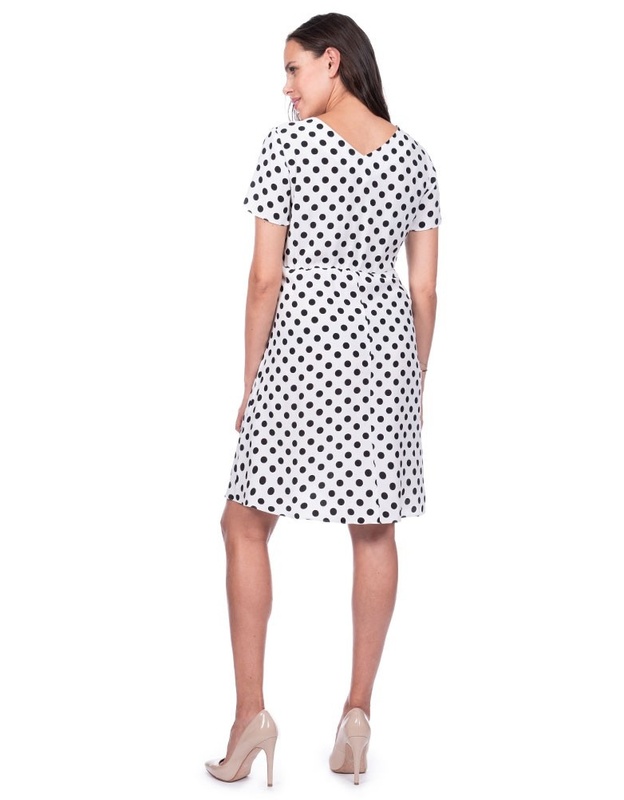 This classic black & white maternity dress is perfect for any smart casual occasion.